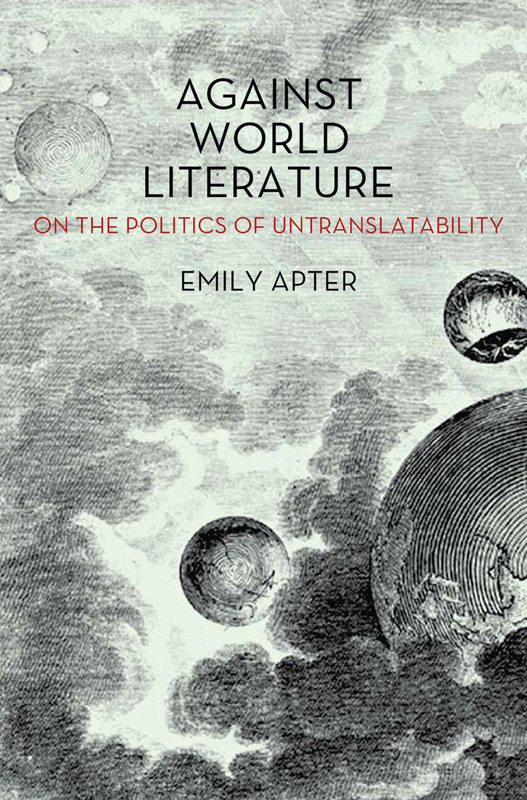 "Apter is surprisingly generous toward World Literature as a set of critical debates. Entering into a real dialogue with some of its main representatives already named above, she indicates some of the key problems of the approach as it has recently been configured within the upper echelons of literary criticism. Damrosch creates an overly ecumenical museum of great heritage sites for the Bildung of a well-meaning global middle class; Moretti is too enamored of quantitative analysis and a dead-end Amazon-algorithm-type technocracy as literary criticism; Dimock implicitly celebrates the United States as the privileged representative of global civil society (and world literary history) by overemphasizing a “soft, hospitable border” in its literary cartography (104). More importantly, Apter suggests alternate critical conceptualizations and research practices, and it is in these suggestions that the real critique of World Literature resides. Against World Literature is explicitly “not a ‘how-to’ book for teaching world literature in translation” (16). Rather, it follows what is arguably a quite traditional Comparative Literature method by arranging a sequence of “loosely affiliated topoi” but with the aim of opening up her “politics of literature critical of global management within corporate education” (16). Against World Literature’s exciting and original contribution to the World Literature debate is the element it isolates to link the topoi together: the Untranslatable." To read the full review, visit boundary 2. See more from Emily Apter here.